Historically, the US state of Wisconsin was a laboratory of progressive ideas: very early, it implemented a progressive income tax and stringent child-labour laws; later, the first unemployment-insurance program in the US. 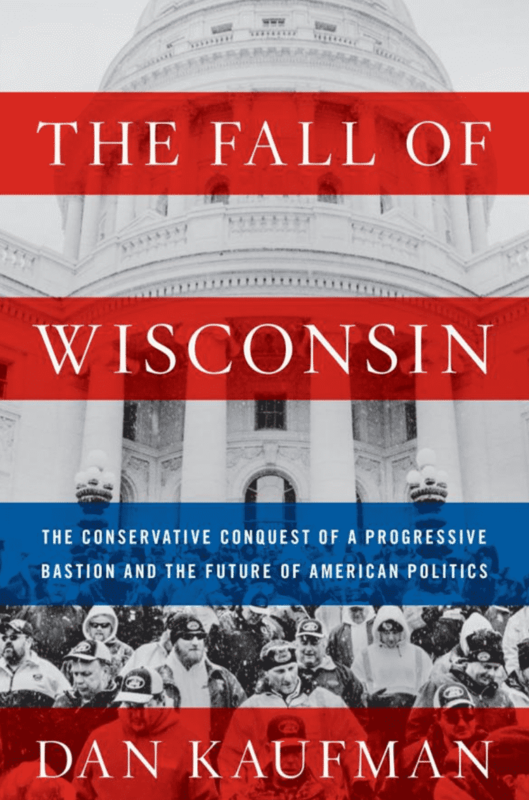 In The Fall of Wisconsin however, Wisconsin native Dan Kaufman provides a warning account of how these progressive traditions were undone and turned into a model for national conservatives. Kaufman, who also writes for the New Yorker and New York Times Magazine, shows how the “divide-and-conquer” strategy of Governor Scott Walker (elected 2010) allowed powerful corporations and wealthy donors to effectively take control – laws protecting voting rights, labour unions, the environment, and public education were rapidly dismantled. In the recent midterm elections, Walker lost to Democrat Tony Evers – albeit with a razor-thin margin. Kaufman’s account still provides a stunning warning about how fragile progressive achievements often are, and how the recent national-conservative turn of the US unfolded in detail.